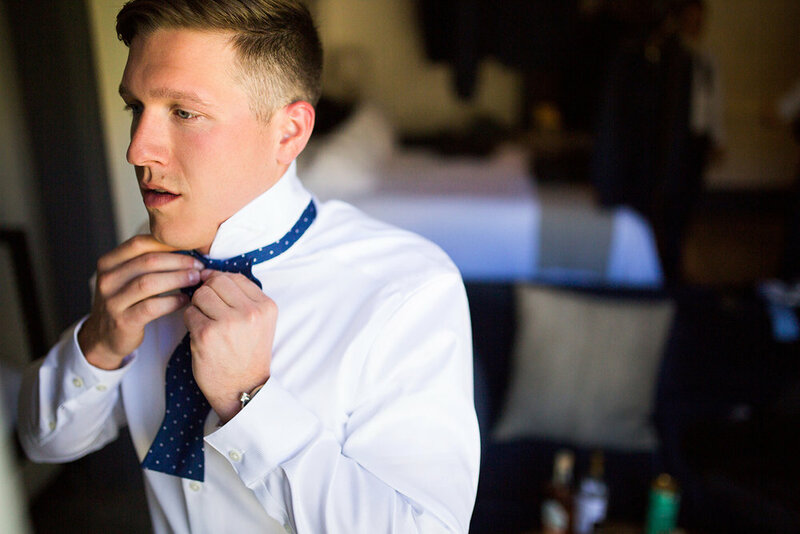 When Jake and Makinzie set out to plan their wedding, they were in search of a boutique hotel that they could rent out for a whole weekend with their loved ones. 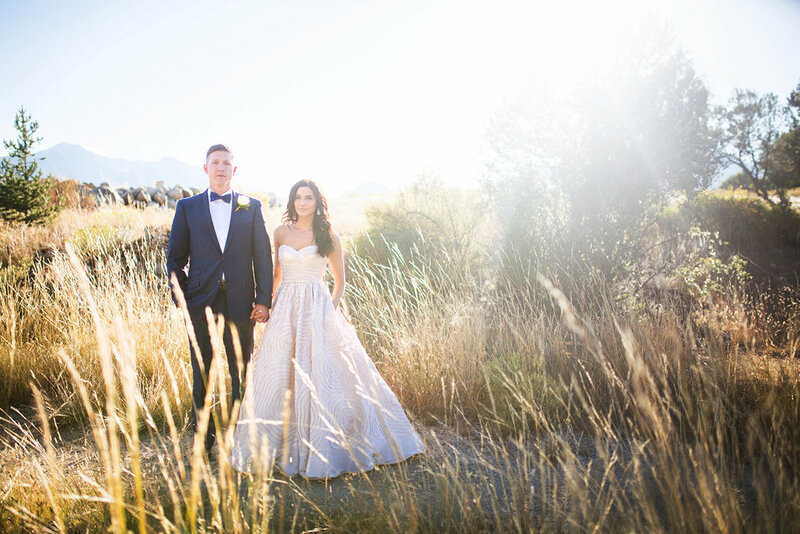 They fell in love with The Surf Chateau as soon as they found it online — in fact, it was the venue that inspired them to get married in Colorado! 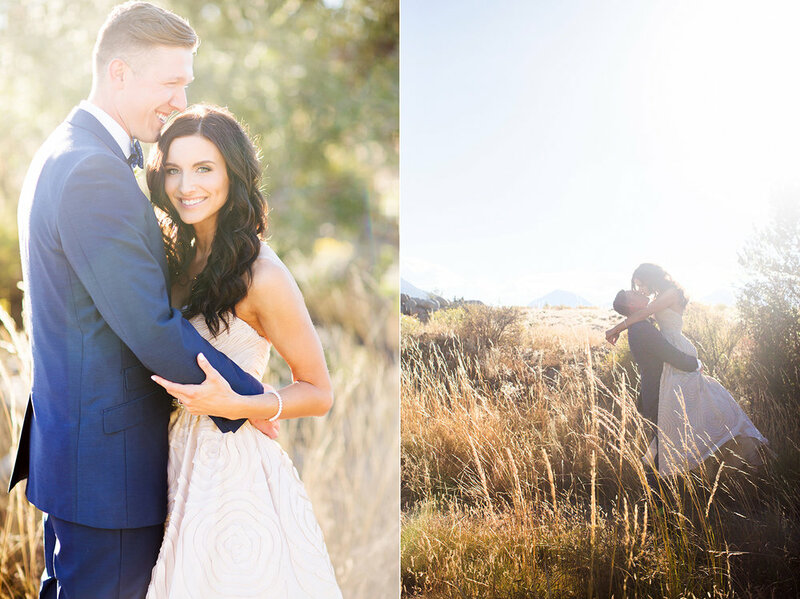 With Makinzie living in Minnesota and Jake splitting time between Minnesota and Arizona, the couple planned everything from afar, but it was well worth it! 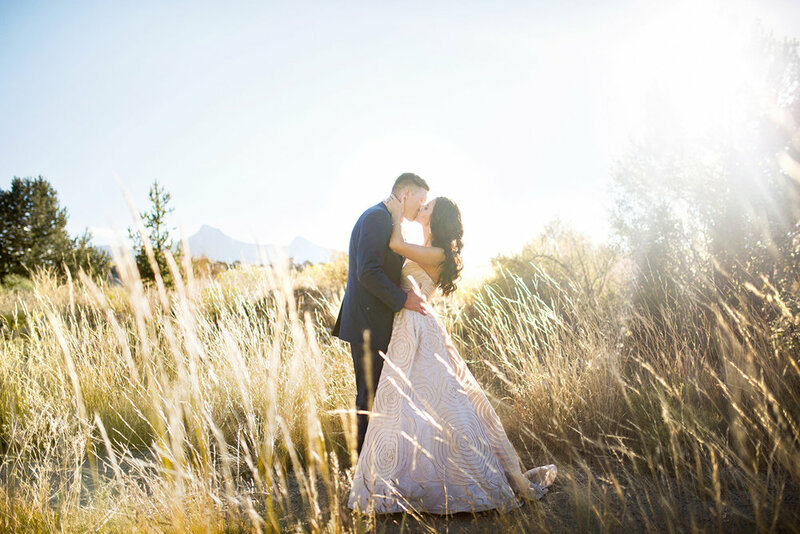 Buena Vista is the perfect town for a destination wedding weekend, with stunning views of the Collegiate Peaks, fantastic restaurants, and plenty of "Colorado mountain" summer activities. 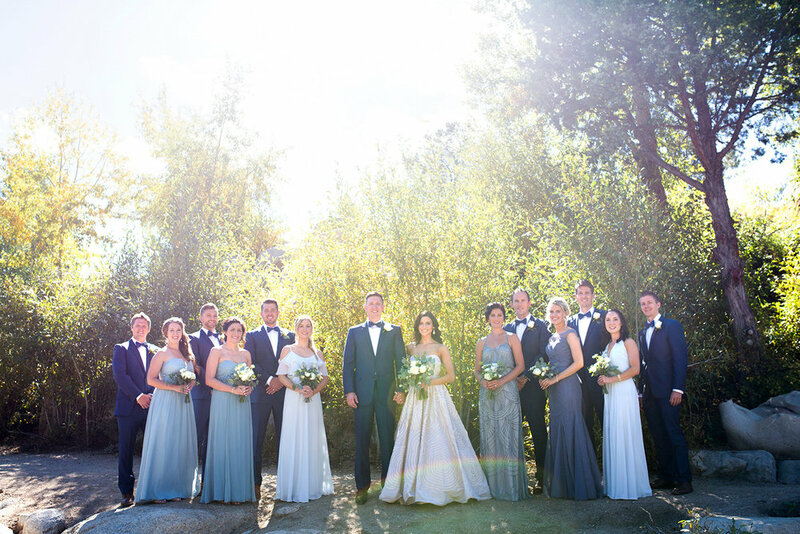 The Surf Chateau is truly a gem, featuring beautiful architecture and plenty of unique design and decor, both of which were a big influence on Jake and Makinzie's Restoration Hardware-inspired wedding style. 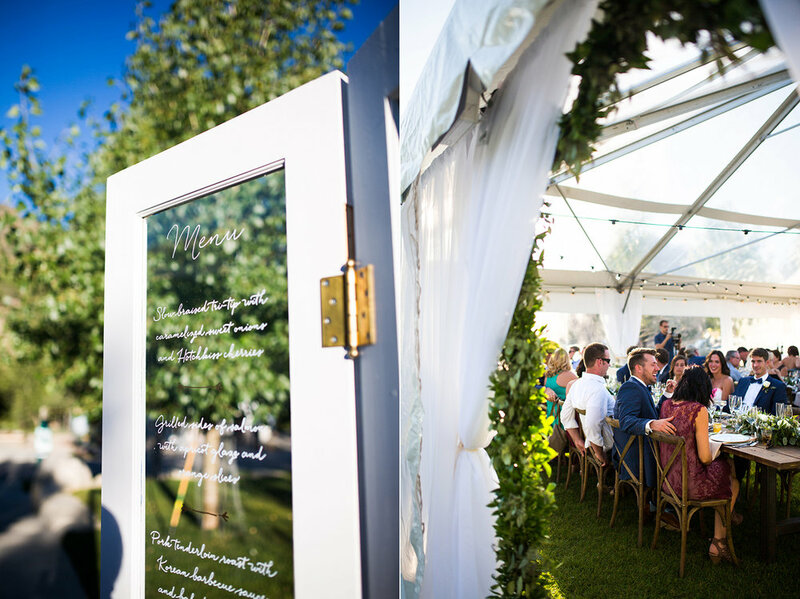 The rustic wood tables were adorned with simple place settings, as well as elegant white florals and greenery accents. 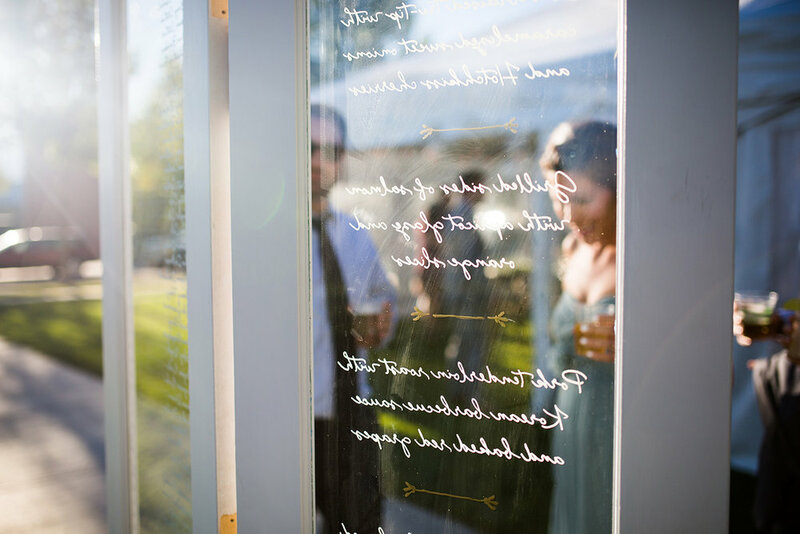 The couple met "knocking on doors," and as a nod to that, I created a menu and seating chart installation on a set of glass doors. 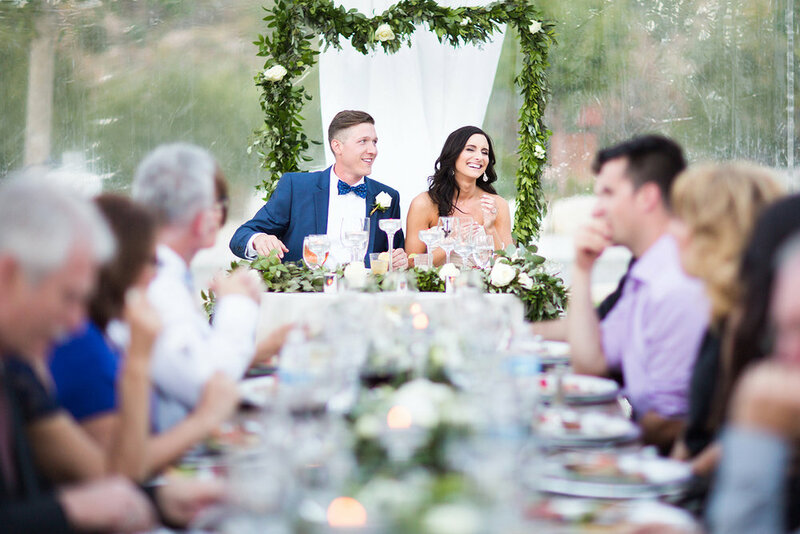 Jake and Makinzie wanted to stay true to their wedding location, so all their food was local, from Colorado's famous Palisade peaches, to tri-tip served with Hotchkiss, Colorado-grown cherries. The couple also each had a signature cocktail — Makinzie's was a margarita made with fresh-squeezed lime and agave, while Jake's was a twist on a John Daly, with Earl Gray tea, lemonade, and vodka. Makinzie's uncle performed the ceremony after the couple shared a seriously emotional first look, and they were sure to include a piece of Minnesota — they had seen their musician, Dan Rodriguez, play in Minneapolis before, and flew him out so their guests could dance on the "beach" to their music. 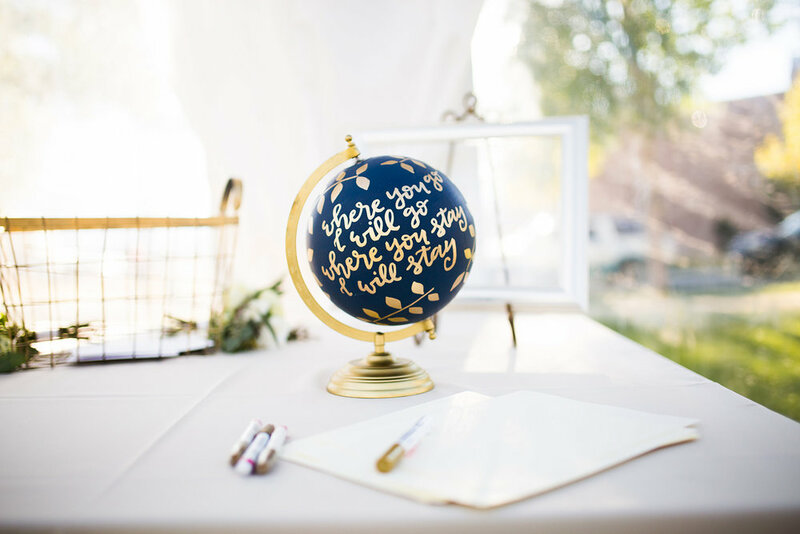 Jake and Makinzie may have tied the knot a few years ago, but their design choices and personal touches give their wedding a timeless quality that is just as relevant today as it was in 2015!